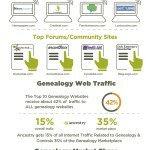 That’s where Genealogy Gophers (gengophers.com) comes in. Genealogy Gophers is a new (FREE!) site developed by Dallan Quass, the mastermind behind WeRelate.org. Dallan is one of the sharpest, smartest people I’ve ever had the pleasure to know. So when I saw that he had a new site, I had to check it out. 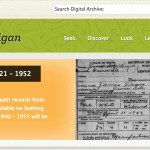 The site searches 40,000 genealogy books that have been digitized by FamilySearch. Most are books that were published prior to 1923. They range from county histories to city directories to family histories. There’s a little bit of everything. It is super easy to use — just type in a name. Other full-text searching would have missed this entry because it isn’t exactly “George.” I cannot stress how super cool this is! This is kind of a misnomer. Yes, when you search by title, it includes the title, but it also includes the description. You can find some real hidden gems this way! The title is History of the Stemen Family, but there are enough Sherricks in the book that they were added as a subject. If the Sherricks I’m researching had ties to the Stemens, this is a book I want to look at! After you fill out the survey, you’ll see the image. If you had done a text search, it would take you to the specific page you found. If you had done a title search (like with the Sherrick family), it would take you to the title page. While you’re looking at a book, you can do a search just within that title, using the search box above the image. You can also download the entire book as a PDF. The top of the image page allows you do do a search just within that book. You can also download a PDF of the entire book. 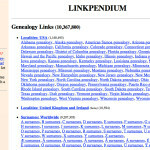 Genealogy Gophers is easy to use and gives great results. They already have 40,000 books and are planning on adding another 60,000 in the coming months. Its intelligent approach to full-text searching will help researchers find things that have previously been hidden by traditional OCR. For the price of filling out an occasional survey, Genealogy Gophers is well worth your time. Go dig in! I used to be an admin on WeRelate and I know Dallan personally. However, he did not ask me to do this review, nor have I been compensated in any way for doing so. Now this is a fun find and I had a great time playing with it. Thanks for sharing! You’re welcome! I can’t wait for them to add even more books! I tried the site out several days ago. I don’t know why I chose the ancestor I did but hit the jackpot! Honaker Family in America (book) and Honaker Family Newsletter 1992-2008. I was missing newsletters for 1992-2003. Now I only need to find some time to read. Thanks for the post…will be trying this next. Love, Love, Love this site. Found lots of good info and I have only entered one surname. Can’t wait to search the rest. Thanks Amy. For the blogging, I “totally” tapped into Internet Library Archive for some of the same (Open Library), but getting the information is more hit-or-miss with that. The search tools look fantastic! Can’t wait to try it out. thank you for sharing this, very excited about spending some time here. Thank you Amy! What a nice review! I’m continuing to work on the site; searches should get even better over the next several months. Thank you for building such a great site! Thanks, Amy for the great review. Thanks for posting this, Amy. I spent about 3 hours yesterday checking this out! Sigh. The laundry will always be there! I’ll have to try it again. I tried it last week and spent about 10 minutes and didn’t find anything related to my family. I know that isn’t much time to try and give up, but I’d tried multiple people. Thanks for sharing your review. Great review. Are most of the books American? Thanks. Re my earlier comment, in the FAQ, I just read that the repositories are all American, which sort of answers my question above. I expect the majority of sources are American, but you never know what you will uncover until you search. True, the original repositories are all American, but many of them have an international scope to their collections. You never know what gem will pop up! We’ll be adding another 60,000 books over the next few months. They’re coming from the same sources as the current 40,000 though, so mostly American. I’m looking for sources of out-of-copyright books covering Europe. I’d appreciate any leads if anyone has them. Hi Amy, This is very helpful. Thank you for posting it. I wanted to let you know that I’ve included it in my NoteWorthy Reads post this week: http://jahcmft.blogspot.com/2015/03/noteworthy-reads-6.html.